Sonya Chavez, the US Marshall for N.M., speaks to Albuquerque Press Women and Friends at the monthly meeting. 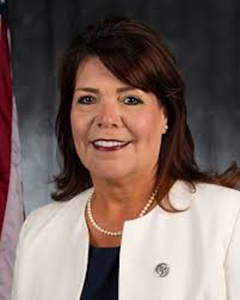 Sonya Chavez, the U.S. Marshall for New Mexico will speak to Albuquerque Press Women and Friends at their regular meeting on Monday, January 14 at 11:30 a.m. at Mimi's Restaurant (4316 The 25 Way). Chavez is the first female to serve in the capacity of U.S. Marshall in New Mexico. The U.S. Marshall's Service is the oldest law enforcement agency in the United States. Among other duties the Marshall's Service protects judges and hunts violent fugitives. Chavez spent 22years with the FBI before her appointment as U.S. Marshall. Much of her professional career in the FBI was centered on investigation of the largest and most violent street gangs in the country. She spent several years in Chicago working on complex investigations. In 2006 Chavez returned to New Mexico as leader of the FBI's violent gang and southwest border initiatives. She also oversaw the Division's Organized Crime Drug Enforcement Task Force Program and High Intensity Drug Trafficking Area Initiative. Before joining the FBI Chavez worked as a television news reporter and anchor for CBS and NBC news affiliates, was the director of marketing at the Albuquerque Hispano Chamber of Commerce and press aide for Governor Bruce King. Albuquerque Press Women and Friends are a group focused on people who work in the field of communications. Meetings of APWF are open to everyone, but non-members will be charged an additional $5 at the door. No reservations are required and attendees order from the menu.